Iran's health ministry spokesman has admitted that the country is currently suffering from shortages of foreign-made medications, but, insisted that "it can be overcome". 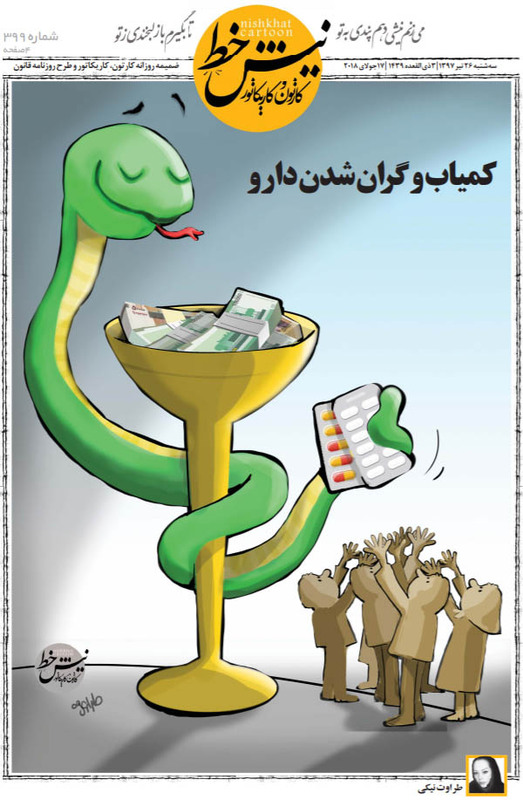 Blaming chaotic fluctuations in Iranian forex market and nosediving national currency, Iraj Harirchi says, "Since forty-fifty types of foreign medications have recently become scarce in Iran, the government has allocated $3.5 billion to purchase drugs." State-run news agency, IRNA, cited Harirchi as maintaining, "Shortage of medications exists even in developed countries in Europe and North America, and 1% to 2% shortage of drugs is inevitable." Harirchi, who was speaking at a press conference, boasted that while, at a time, Iran was struggling with the "shortage of 300-400 types of [foreign-made] medications", the number has currently dropped to only "40-50 foreign products". Meanwhile, the deputy of Planning and Budget Organization for Social Affairs, Sa'eid Namaki has announced that in spite of 10% inflation, the price of medications in the country will be fixed. Nevertheless, the Minister of Health, Hassan Qazizadeh Hashemi has described the country's medication market as "messy", noting that there might be individuals who have prepared themselves for profiteering from the market. "Although the new round of US sanctions imposed on Iran does not target medicine needed by Iran, but, Washington's withdrawal from Joint Comprehensive Plan of Action (JCPOA) or Tehran's nuclear deal with world powers, the prospect of the local medications market has already worried many sick people and their relatives in Iran, pro-reform daily Sharq reported on July 2. "The current [chaotic] economic situation has not affected the local drugs market, so far; nevertheless, we are going to feel its impact from September onwards," Sharq has cited a "well informed source".